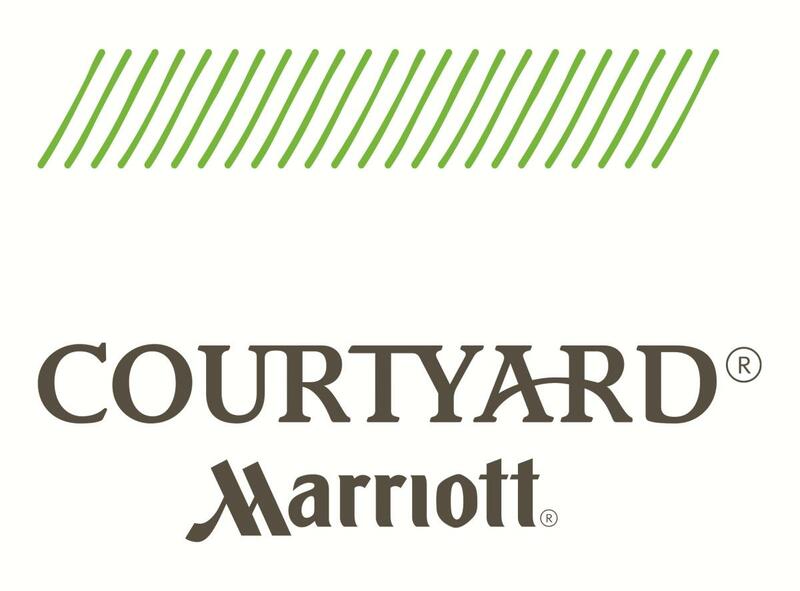 Courtyard Marriott is located just minutes from the heart of downtown Saratoga Springs. 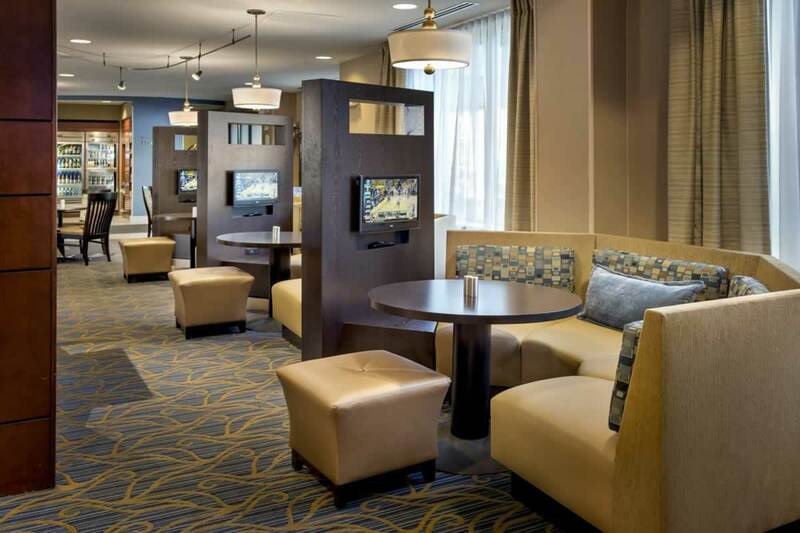 Our hotel offers 146 newly renovated guest rooms including 6 one bedroom suites and 3 luxury suites. 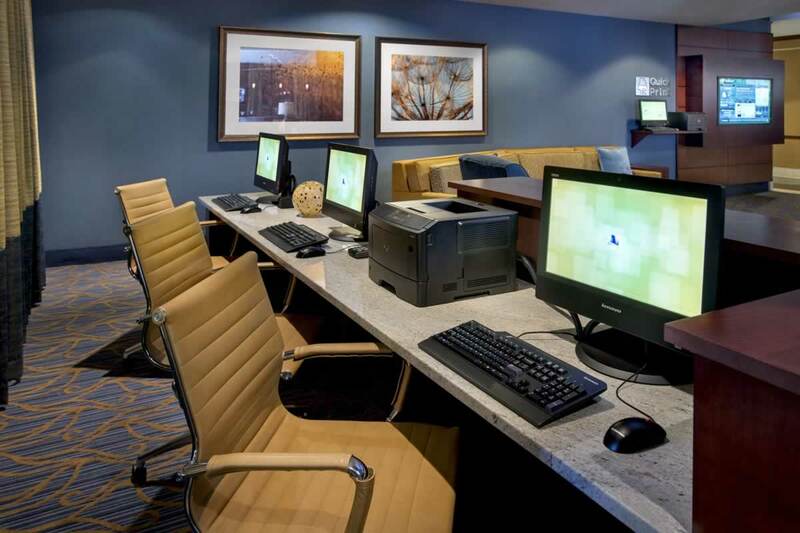 During their stay guests of the Courtyard Marriott will adore complimentary high speed Wi-Fi, in room coffee, refrigerator and microwave. 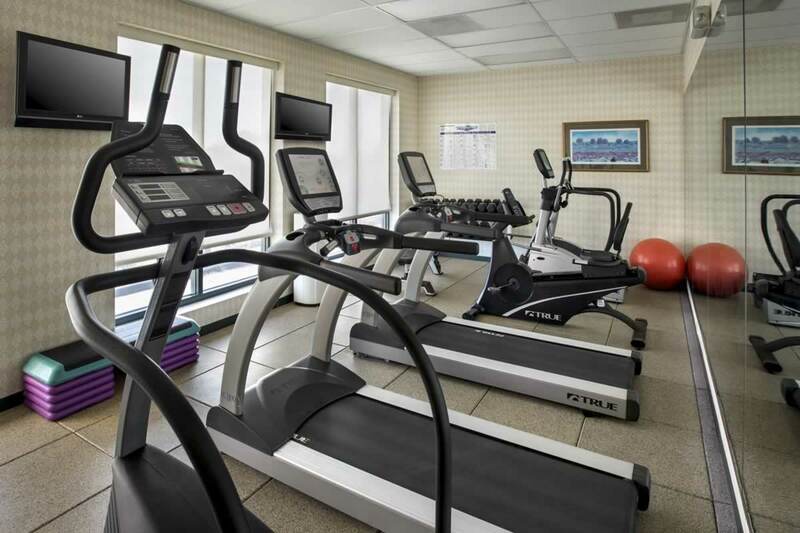 Whether fitness or films are your fancy don’t miss a beat with our state of the art fitness center, indoor swimming pool or our spacious lobby with 3 flat screen TV’s and comfortable lounge seating. 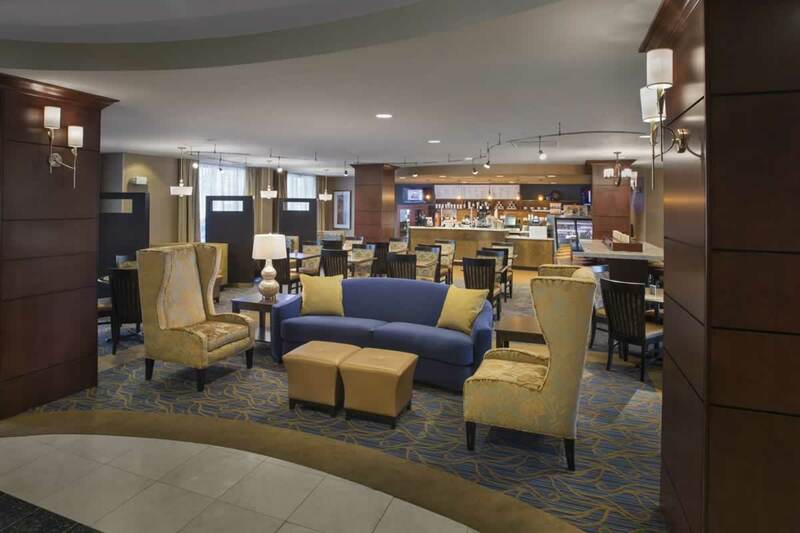 Join us in The Bistro, our in house restaurant to connect or unwind; open daily for Breakfast, Lunch and Dinner. 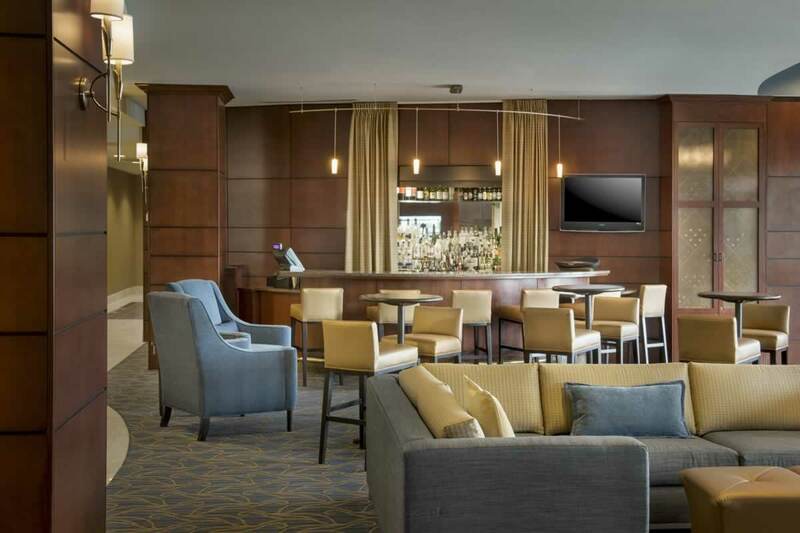 Relax in our lounge or on our lobby terrace with a signature cocktail before enjoying historic Broadway filled with numerous restaurants, specialty shops and boutiques. 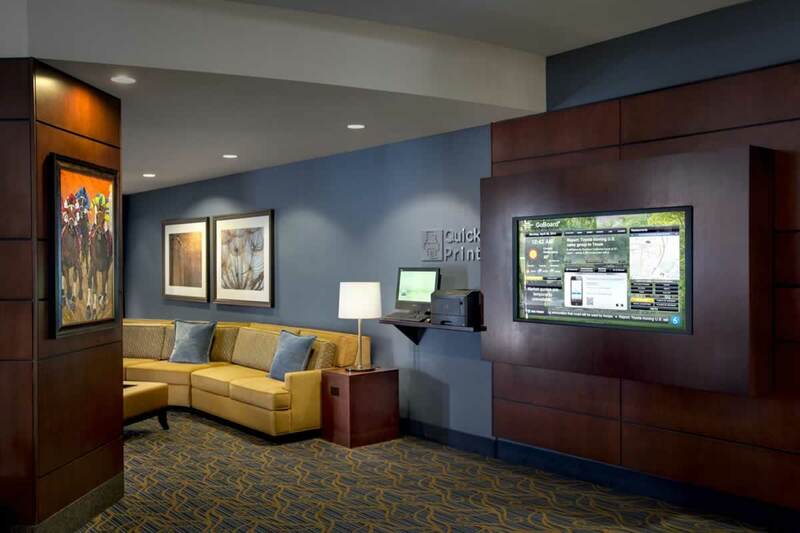 The Courtyard Go Board is the latest technology to assist you in navigating though the city. The informative Go Board is at the pulse of all activities in the area; sure to help you fulfil your interests and keep you on the right path with custom directions to each location. 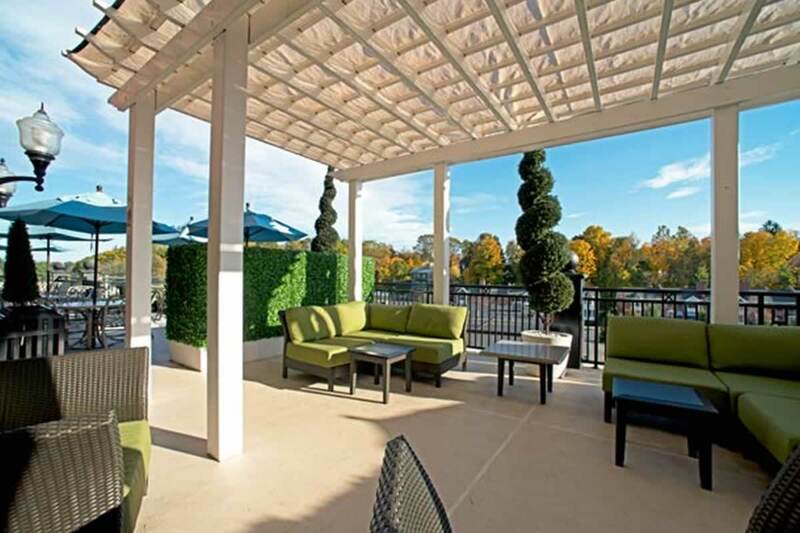 Are you in Saratoga Springs for Business? 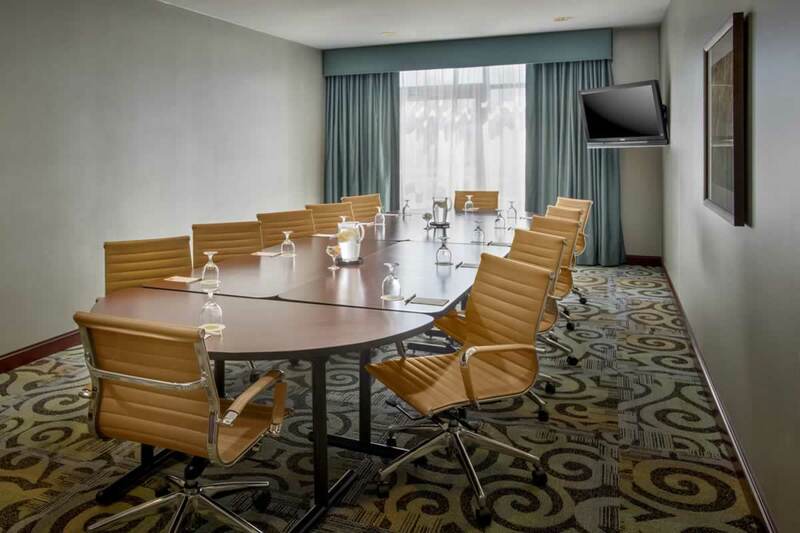 Let our dedicated Sales team plan the perfect meeting or event for you. 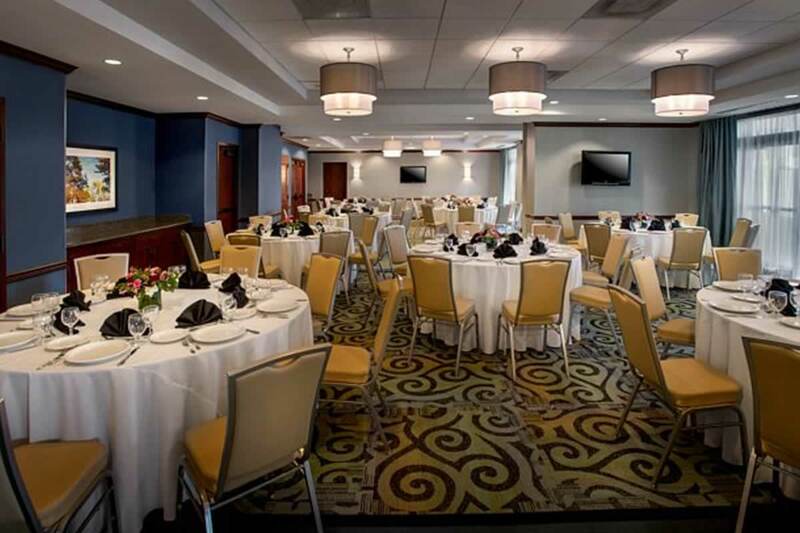 Our meeting space can accommodate 12-100 people and has over 3,000 Sq. ft. of space. 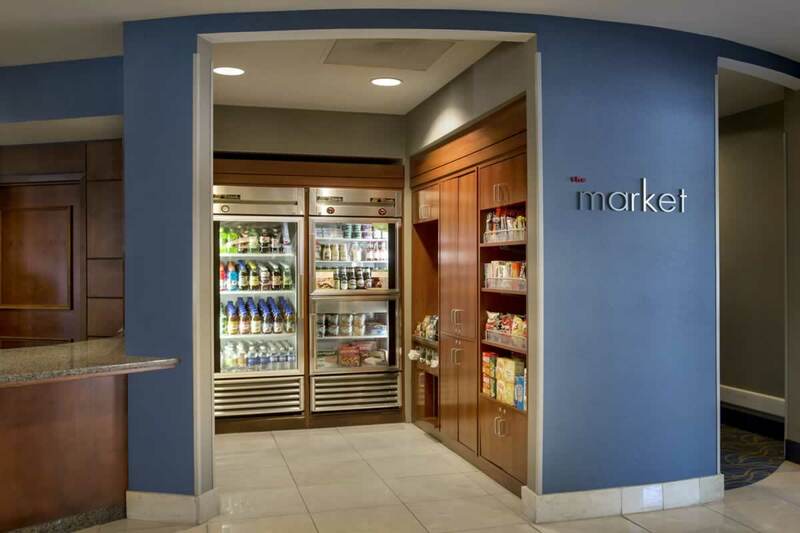 Your attendees will stay focused and delight with food and beverage from our Award Winning Chef. 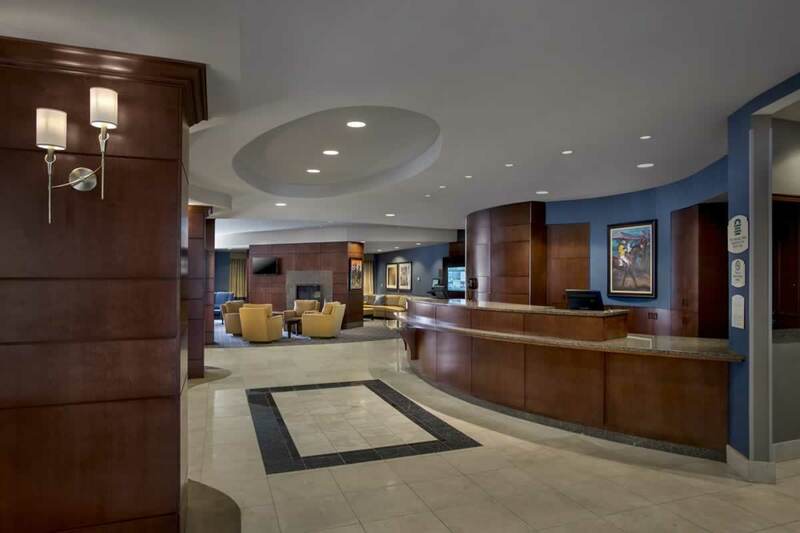 Located just 30 minutes from the Albany Airport and just off of Exit 15 on the Northway. 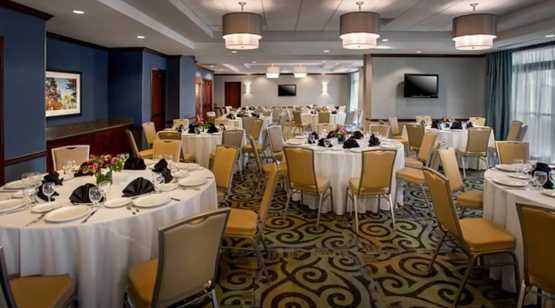 Let Courtyard Marriott be the venue for your next meeting, event or overnight stay in Saratoga Springs. Credit Cards Accepted: All major credit cards accepted. 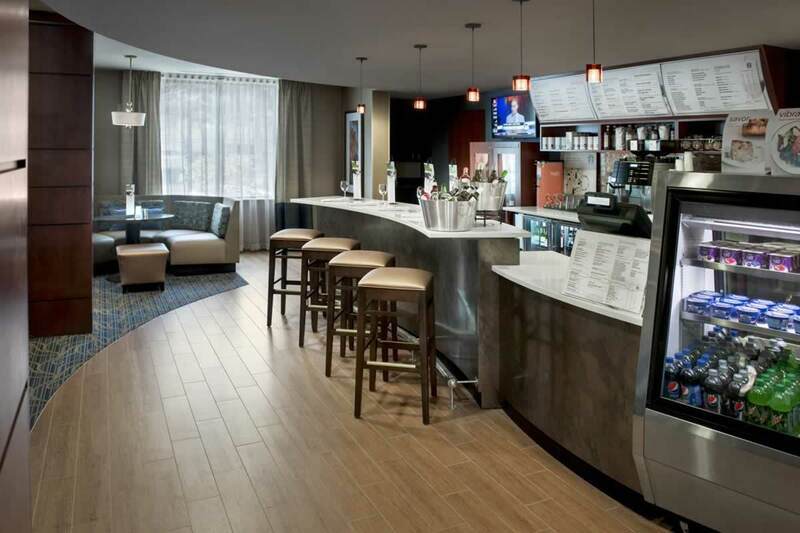 Accepts 10% Convention Bureau Discount Card.